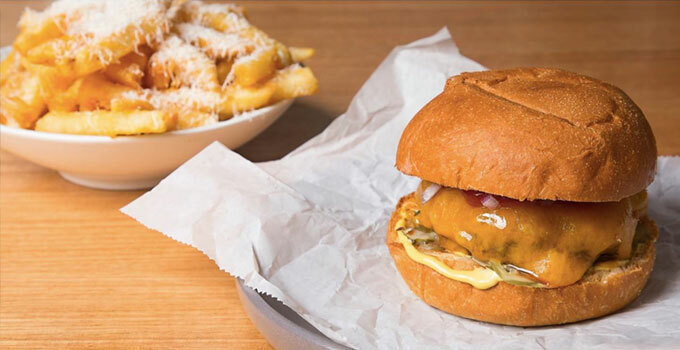 Brisbane’s new burger joint is so good – would we aio-lie to you? Taking a more casual, walk-in approach to dining, Billykart West End has a new sibling – Billykart Bar. Birthed from the evolution of Billykart Provisions created by the visionary Ben O’Donoghue, Billykart Bar offers a short but sweet selection of high quality bar food, with a focus on burgers, wings and booze. Relish pulled pork sliders with a craft beer in hand – or take a look at their thoughtfully selected wine list, and if the hot wings are getting you heated, cool off with a bottled cocktail or a can-made beer cocktail. And yes, the famous Billykart cheeseburger is on the menu. Of cos they’ve got vegetarian options – but redefine your idea of veggie burgers with a milk bun full of cos lettuce, cheese fondue, tomato relish and a mac ‘n’ cheese-stuffed field mushroom patty (yum!). Find Billykart Bar on Fish Lane, open from Wednesdays to Sundays, dine in or takeaway from 4pm until late.